There has been a growing recognition from the medical profession of the role of the arts and humanities in medical training (Anderson 2003; Boisaubin 2000; Calman 1996; Lazarus 2003; Udvarhelyi 1993). 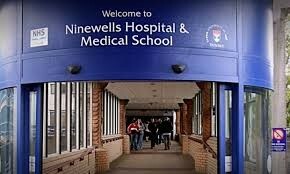 Ninewells Medical School Teaching Hospital places importance in developing a broad based curriculum for the training of its medical students. Inclusion of the arts in health in this curriculum helps provide a valuable platform to raise awareness about the benefits of the arts in healthcare provision. For a number of year’s arts therapists, artists and other arts in health practitioners have been offering an elective module to second and third year medical students “Understanding the roles of the arts therapies, artists and art tutors working in arts and health” within the medical school’s student selected component (SSC) curriculum at Ninewells Hospital, Dundee. In thinking about medicine and the arts we remain in many ways both indebted to, and encumbered by 17th century Cartesian legacy. 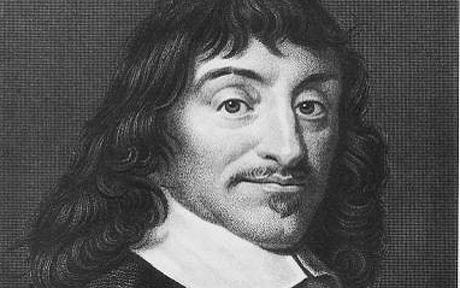 The French philosopher René Descartes espoused the view that the world is made up of two incompatible kinds of substance, mind or consciousness and matter. He considered the mind to be ‘lodged mysteriously in a mechanical extended body’. The Cartesian world view has profoundly influenced European and industrialised, western culture and science. The concept of the ‘mind-body split’ endures as an underlying assumption which continues to influence society and its institutions in the twenty first century. Within this paradigm art may be viewed as an optional luxury, which can add to enjoyment of life. Sometimes it is regarded as a rather spiritual activity which may encourage individuals to transcend the inconvenience and suffering of the physical body. During the first week of the two week block medical students are challenged to reflect upon their own understandings and theoretical constructs. How many of you did art at school? Do you continue to make art? Can you think of other ways in which you can express your creativity? How important is art and/or creativity to you? Do you consider science to be very different from art? What are the differences? Do science and art overlap? What is emotion? Is emotion a significant factor in achieving and maintaining health? Some of these questions open to fruitful discussion and debate about the role and contribution of art to psychological and physical health. The two week module has aimed to address the appropriate use of the arts therapies as psychological interventions, and also highlight the therapeutic benefits of the arts within a healthcare environment, for example arts projects, environmental improvements, health promotion, health improvement, social inclusion. The teaching format includes an eclectic mix of site visits, case presentations, and discussion, together with attending group workshops with therapists from a number of therapeutic modalities (Art Therapy, Music Therapy, Dramatherapy, as well as with practitioners from the arts in healthcare). Whilst there is no direct contact with patients/clients, students are given the opportunity to use art materials and musical instruments within an experiential group working environment, one in which they can experience what it is like first-hand to communicate non-verbally. The process of deciding whether to put red there or not in a picture, of taking the risk of losing the picture by restructuring the whole piece, creating a dull piece of work because of avoiding feeling, giving up on something because of feeling no good at it, all these things can be experienced and mastered with the aim of making an exciting piece of art work. Development of an aesthetic sense is part of the endeavour, without this there are no boundaries and so no precision. The personal nature of experiential working can provide challenges and opportunities for medical students who can sometimes find themselves outside their comfort zone. This does however provide them with valuable and safely facilitated opportunities, to observe their own interactions and relationships within the group. Educational objectives include understanding of the differences between the roles of arts therapists and artists working in healthcare settings, learning about the context and background of art and environment in healthcare settings through site visits and discussion, developing insight into the range of work undertaken by arts therapists in different modalities (art, music, drama), and artists working in a variety of healthcare settings. 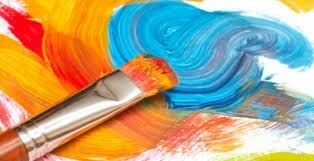 Myths and common misconceptions about the arts and the arts therapies are addressed. Over the years in delivering this training, the potential for collaboration has had benefits of helping us as tutors working across the arts in health spectrum, to engage questions around professional identities and roles. This has enabled us better to articulate differences in respect to issues such as governance frameworks, regulation, training and supervision across the arts in health environment to a wider student audience. Having a visible presence within interprofessional medical teaching programmes is important for us as professionals. It allows arts therapists to extend traditional practitioner roles. Visibility at this level also contributes to a wider recognition and understanding about the arts therapies and the arts in health. In offering this module we have tried to respond to feedback both from students and from the medical school, resulting in adaptations being made to the programme over the years in which the module has run. Student feedback has generally been very positive and has been a consistent motivating factor in our decision to want to continue to offer the module. John McCulloch is the Principal Art Psychotherapist in NHS Tayside Learning Disability Service. If you want to read more here are the articles mentioned in John’s blog. Anderson, R., Schiedermayer, D. (2003). ‘The art of medicine through the humanities: an overview of a one-month humanities elective for fourth year students’, Medical Education, 37, 6, 560-562. Boisaubin, E.V., Winkler, M.G. (2000). ‘Seeing patients and life contexts: the visual arts in medical education’, American Journal of Medical Science, 319, 5, 292-296. Calman, K., Downie, R. (1996). ‘Why arts courses for medical curricula?’, The Lancet, 34, 1499-1500. Lazarus, P.A., Rosslyn, F.M. (2003). ‘The arts in medicine: setting up and evaluating a new special study module at Leicester Warwick Medical School’, Medical Education, 37, 6, 553-559. Moss, H., O’Neill, D. (2009). ‘What training do artists need to work in healthcare settings?’, Medical Humanities, 35, 101-105. Udvarhelyi, G.B. (1993). ‘The role of humanities and arts in medical education with special reference to neurosurgery’, Acta Neurochirurgica, 124, 156-160. This entry was posted in Uncategorized and tagged art, Descartes, dundee, health, medical education, medical students, therapy. Bookmark the permalink. I enjoyed this piece. I wonder if collaborative projects also provide a space where HP and SU can sometimes meet on more equal terms with the SU as expert artist? This reversal of traditional roles can, I think, be very helpful in building relationships esp in areas such as MH, LD and with older people and where the power imbalance is often particularly acute. Thanks for posting – I will follow up some of the reading.